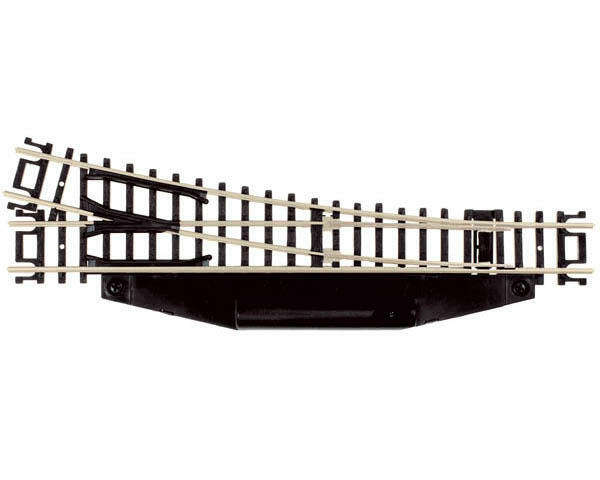 This is an Atlas Model Railroad N-Gauge Code 80 Manual Right-Hand Switch. Manual switches can only be "thrown" (changing the direction of the rail) by flipping a lever on the switch by hand. 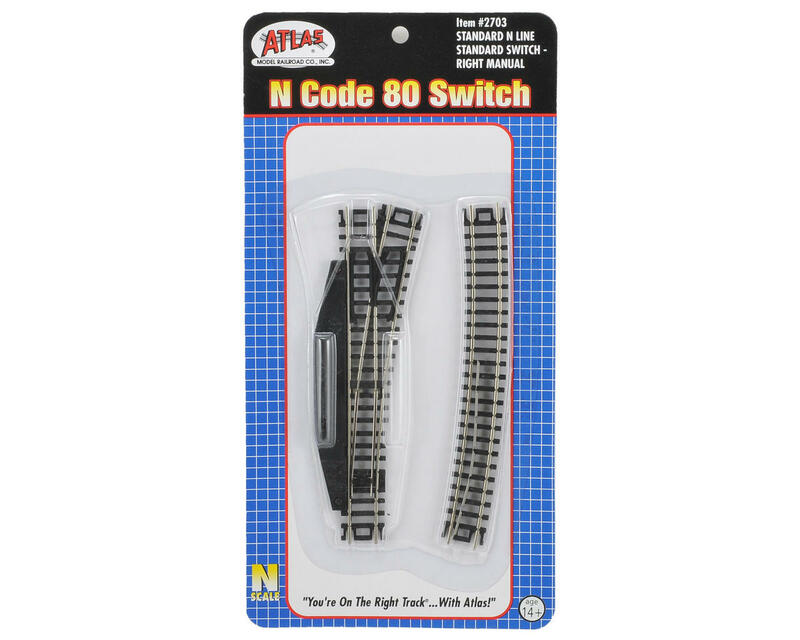 These Standard N scale manual switches can be easily converted to remote control with an Atlas right hand switch machine (ATLU2716).